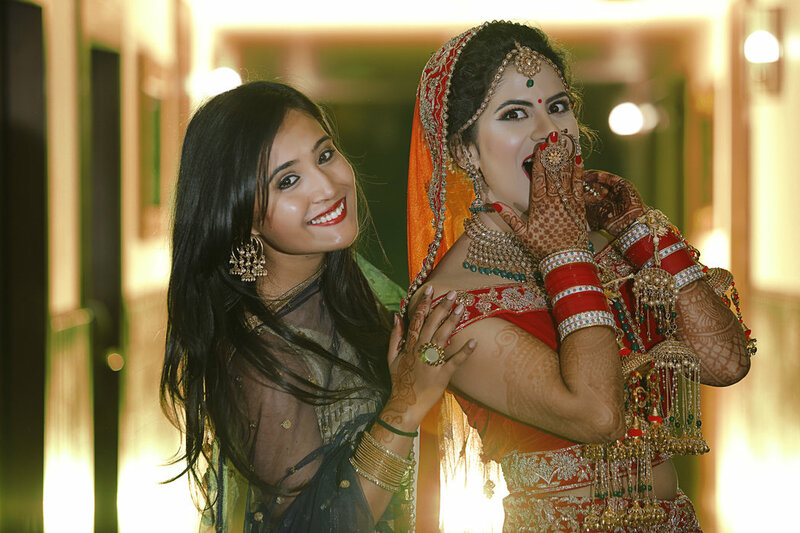 We are a professional photography services company based in Chandigarh . We have been running a professional photography business for 12 years, specializing in Wedding, Candid Wedding, Hindu Wedding, North Indian Wedding, Bridal Portraits, Indian Wedding, Couple Portraits, Pre-wedding Shoots, Engagement, Reception, Babies & Kids, Kids Portraits, Fashion & Portfolio and Portraits photography. We undertake customized photography requirements. Some of our products and services include Coffee Mug, Frames, Calendar, Photobook, HD Videos, Poster, Lamination, Enlargement and CD / DVD. We provide services in Chandigarh. We are proficient in Punjabi, Hindi and English. I trust them blindly. They are the best photographer. Team is very polite and go beyond limits to make your best day memorable. I thank you from core of my heart and wish you achieve more heights in coming years. Your message was successfully sent to Paakhi Creations. The Photographer may contact you soon.